The most awaited sporting events to be held in Tagum City, Davao del Norte this coming May 3-9,2015. This will be the 58th Edition for Palarong Pambansa, the annual gathering of the multi-sporting event for Filipino students and athletes. So happy to share with you the Palarong Pambansa 2015 official video and theme song. Lyrics Composed and performed by Maan Chua, the TUNOG MINDANAW 2013 winner. And music arrange by Paolo Sisi, a Davao Musician. The song is entitled, "PALARO NG PAGKAKAISA" (a Game of Unity). 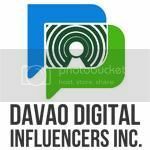 For more information, please do visit their website DAVNOR PALARO 2015 or visit their Facebook Page PALARONG PAMBANSA 2015 DAVNOR. Also visit their YOUTUBE Channel for the countdown and more videos to watch!